There is much written about Ford’s best classic muscle cars, but this list will cover a different topic. It is a compilation of the greatest hits of the Ford Motor Company as a parent company. It included Ford, Lincoln, Mercury, Continental, and Edsel, who created some of the finest automobiles of the 20th century. Once the biggest car company in the world, Ford has sold cars on almost all the continents, helping to shape the car industry as you know it today. 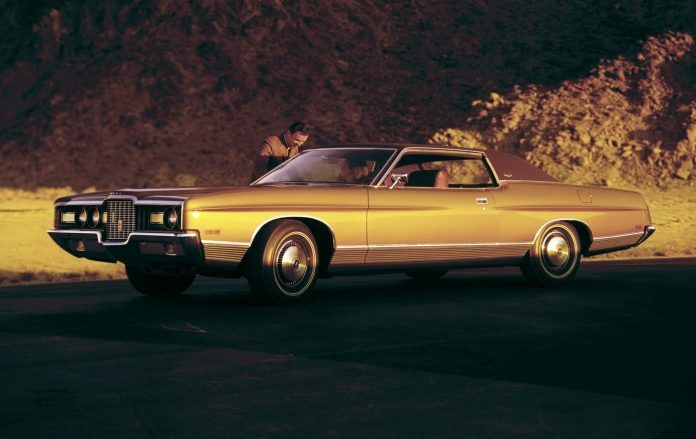 So, keep reading to learn lots more about the 20 best classic Fords, Lincolns, and Mercurys. Find out why these cars have endured the test of time to become icons of the car world. The Model T was the first truly mass-produced automobile with Ford building over 15 million up to 1927. This was the car that motorized the world. In fact, it laid the foundation of the modern car industry with assembly plants in foreign countries and many other continents. However, when Ford presented the Model T in 1908, the world was still using horse-drawn carriages. But by the time Ford discontinued it in 1927, the automobile age had successfully started. During its 19 years of production, the Model T changed the world.